Fort Worth Fly Fishers is committed to creating and maintaining the clean habitat that our sport depends on. 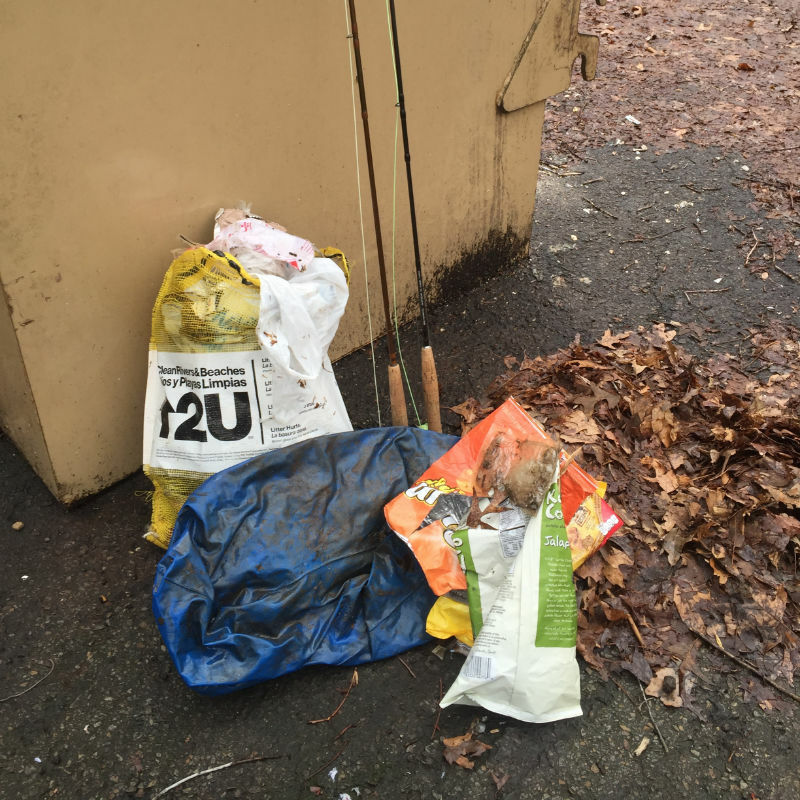 We participate in regular area clean-ups and encourage members to do their share when they are in the field. Special trash bags are available at monthly meetings as well. These bags are light and durable. 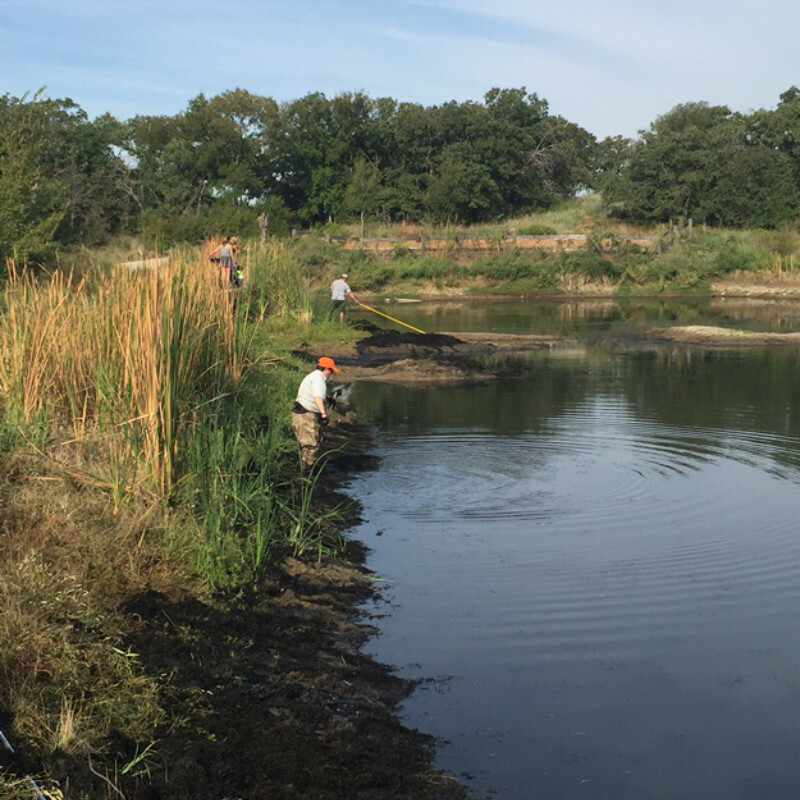 On Saturday, October 3, 2015, Fort Worth Fly Fishers, Dallas Fly Fishers and other fly fishing community volunteers removed cat tails from a future floating fishing pier site on the upper pond and removed pond weeds using tools that were purchased from a Cabela’s grant (via FWFF). Thanks, Bill Stuart, Les Jackson, Craig & Jessie Lutz, Roger Slagle, Mike McCorkhill and Jose Benavides for your ongoing efforts to make the Arlington Southwest Nature Preserve an educational fishing demonstration area. Give a fly fisher a tool and he/she will use it to improve habitat. Les Jackson and Roger Slagle working to remove rough pond weed (an invasive species) from the lower pond at Arlington Southwest Nature Preserve. This work will help balance the ecosystem on the pond. Thanks and remember, we can make a difference! !